H.W. Metals can supply the materials for any custom metal processing project or work with customer-supplied materials. Either way, our customers get the same great service and superior quality metal parts and components. We buy the majority of our materials mill-direct, adding yet another facet to our complete, turnkey metal processing services. H.W. Metals is a true one-stop shop: From raw materials to finished parts and fabricated products, we do more of the work, so you don’t have to. 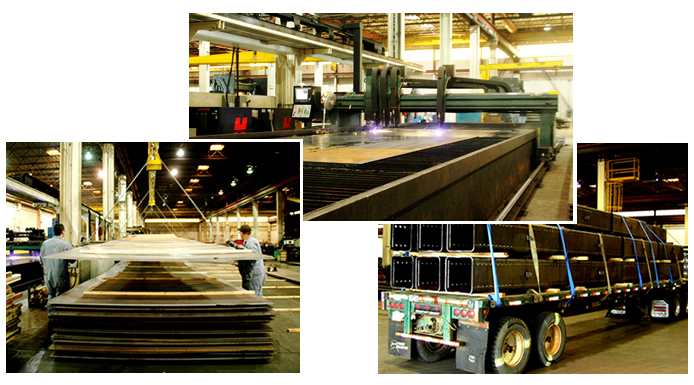 Mill-direct sourcing also allows us to bring in materials that are sized right for the job, reducing material costs for your project and helping minimize scrap. In certain instances, H.W. Metals can supply high quantities of raw materials for customers who do not require any of our metal processing services. We are your Number 1 domestic outsource option. Request a quote on the metal processing your project requires, or contact H.W. Metals for more information.